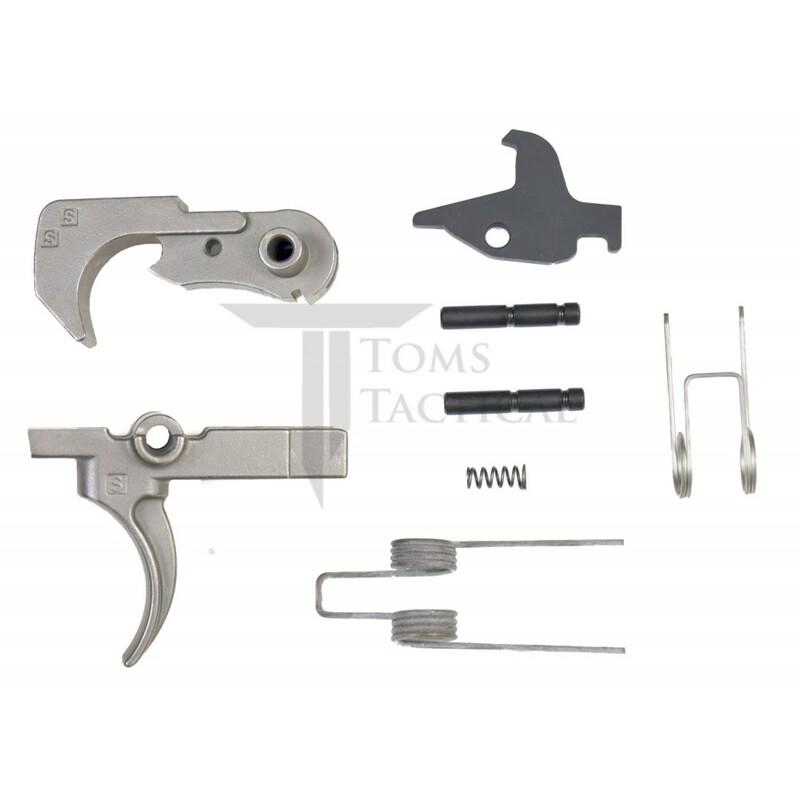 The Toms Tactical Premium Nickel Teflon AR15 Trigger Group is 100% made in the USA and is designed to reduce friction and increase smoothness over standard mil-spec triggers. The nickel teflon coating also provides enhanced durability and corrosion resistance. Engagement surfaces on trigger and hammer are precision polished to give you a crisp trigger pull. This kit will work with any mil-spec AR15 lower receiver. Also works with AR-10, M5, PA-10, 308 AR. Trigger pull weight is slightly lighter than standard mil-spec triggers. Trigger pull weight is approximately 6 pounds. All Tom's Tactical brand products include a lifetime warranty. I just ordered my second trigger. I think it breaks a little crisper than my PNT. Fast shipping as well. Great trigger for the price. Basically it’s a polished and coated mil spec trigger. Just what I was looking for. Similar trigger groups are sold by other vendors for $60 - $80 (shipping not included). Toms price can't be beat and free shipping to boot. Up until now, I have used a standard mil spec trigger with JP Enterprises springs. Recently, I watched a video on the importance of polishing parts of the trigger for optimum performance. I purchased 3 of Tom's trigger groups. I am very happy with the quality and pull of the trigger. I have no need to spend 2 to $300 for a drop in trigger. Great Work Tom. great trigger groups. Best trigger for the money on the market . Great quality, and significantly drops trigger pull, and creep. Took less than 10 min to install.